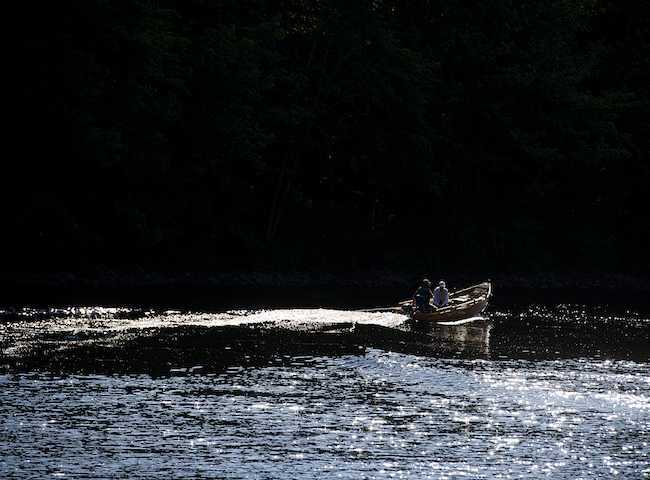 Treat your business associates to a natural challenge on the beautiful River Tay via a quality salmon fishing event day. The excitement of contact with a salmon like this should not be underestimated. 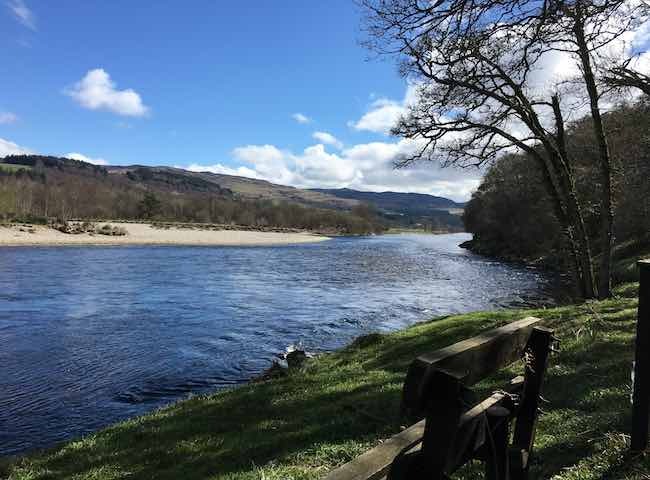 There's no better a natural view in Scotland than sitting overlooking the swirling water and sheer natural beauty of the River Tay on one its most famous salmon fishing venues. 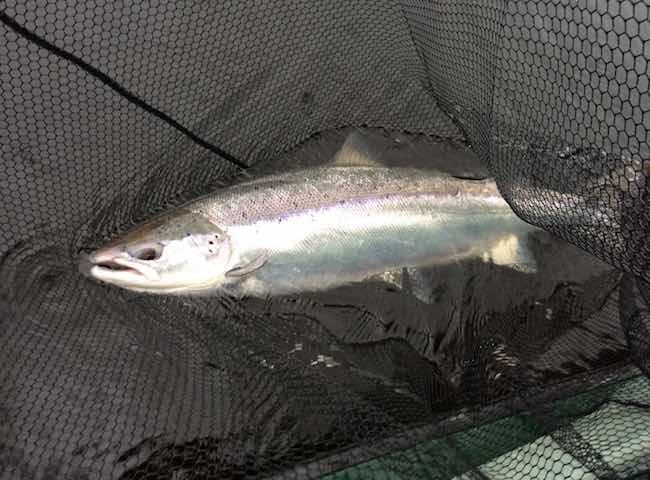 There's nothing that beats the natual environment of the Scottish salmon river. The ambiance & tranquily of the beautiful River Tay will provide amazing relaxation and a much deeper thought process. 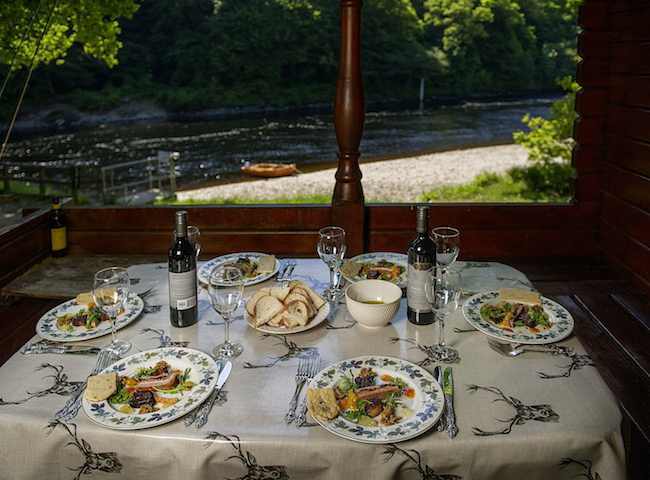 There's nothing that beats sitting down to a Michelin starred chef prepared lunch in a luxury salmon fishing hut overlooking the famous & beautiful River Tay. 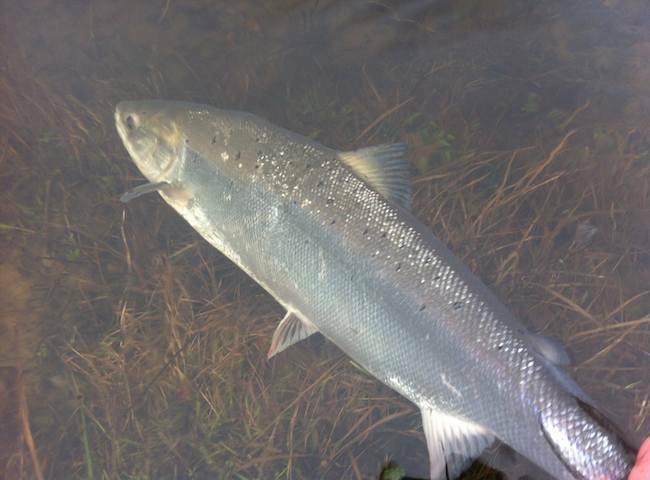 Here's a shot of a perfect fresh run River Tay salmon moments before its safe release. There's a huge thrill involved in this entire catch and release experience. Scotland's River Tay is not only the largest and most majestic salmon river but the most spectacular too. 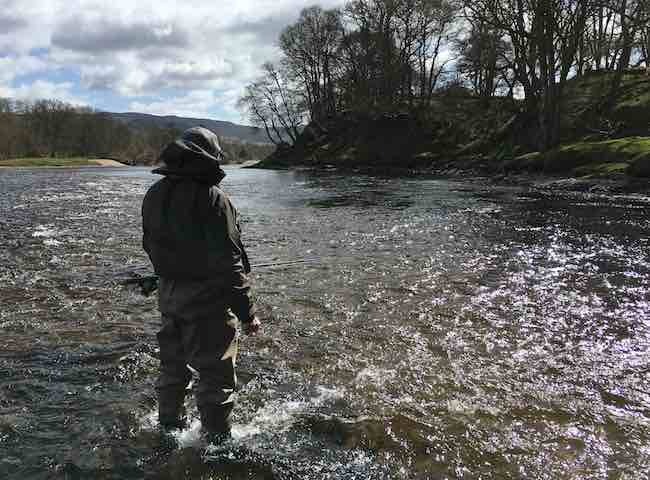 Treat your business friends to a day in paradise via a River Tay salmon fishing hospitality day. 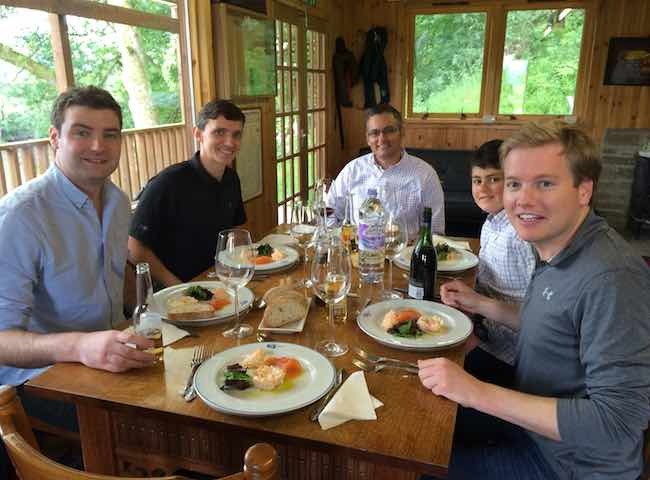 There's nothing that beats a professionally catered salmon fishing lunch on the beautiful banks of the River Tay. Treat your key business associates to a special day out in this wonderful natural paradise. 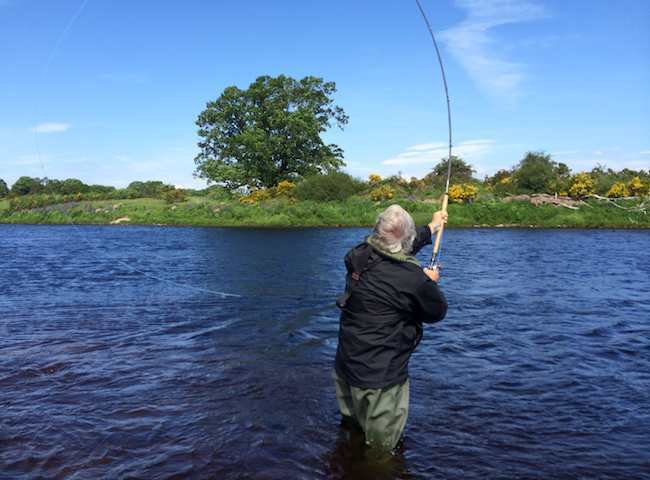 If you're looking for peaceful natural surroundings or have completely forgotten what that is about then book yourself and your colleagues on a River Tay salmon fishing hospitality day and enjoy one of the most relaxing pursuits in life. 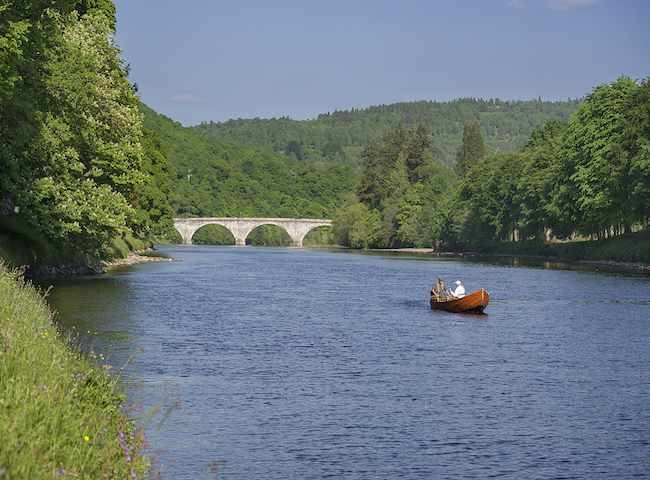 Here's a lovely Summer shot of the glorious River Tay near the Perthshire town of Dunkeld. This is truly a remarkable area of Scotland to host a salmon fishing event if leaving a lasting impression on your guests is important. 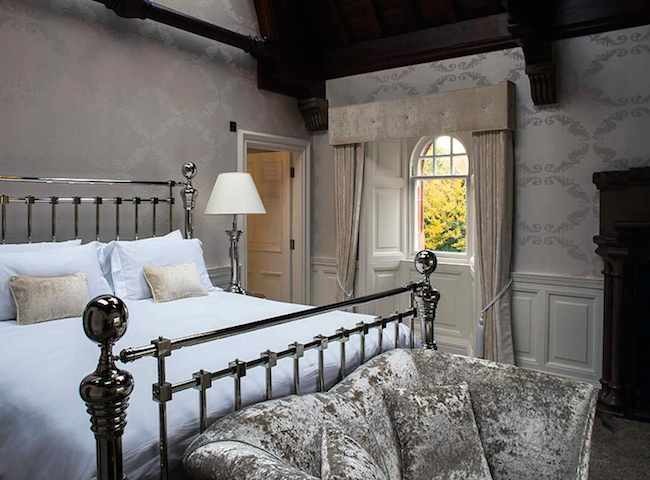 Here's a glimpse of the beautiful Penthouse Suite in the luxury 5 star Fonab Castle Hotel in Pitlochry which makes a great Tay Valley accommodation venue for your salmon fishing event. 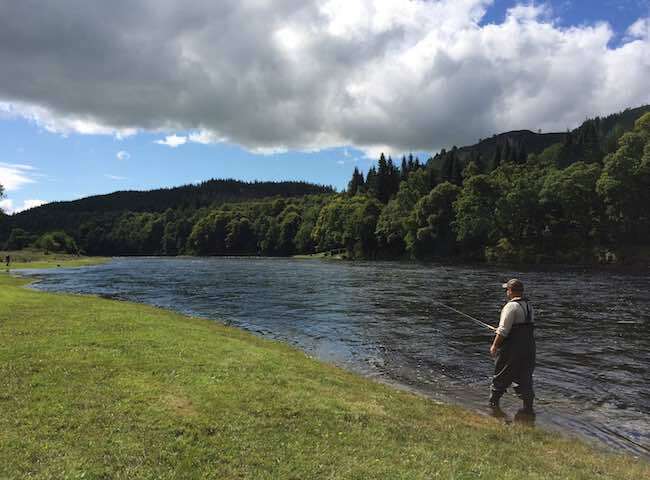 Tomorrow on the Tay's Dunkeld House salmon beat commences a 'complimentary' service for Spey casting tuition and general salmon fishing skills for anyone interested in improving their approach.